Gay Pride Festival: How Gay Were Laurel and Hardy? 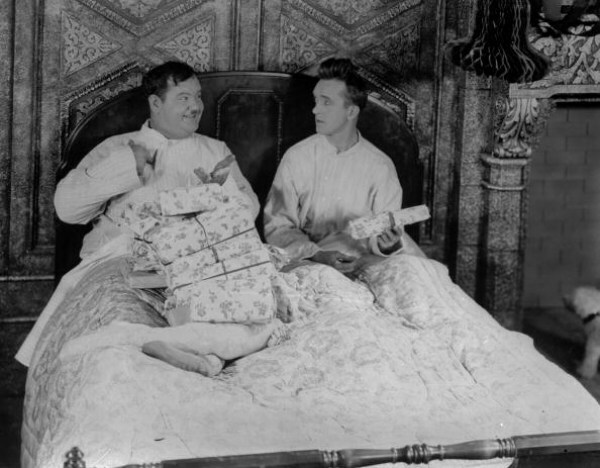 In their films, Stan Laurel and Oliver Hardy often shared a bed and were sometimes seen in drag. They always preferred each other’s company to that of their screen wives. 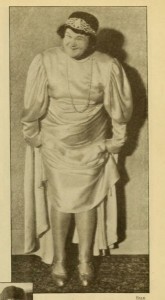 And in more than one of their films they created a happy “pretend” family when the story dictated that they had to care of a child. Stan: Well, what’s the matter with her anyway? Ollie: Oh, I don’t know. She says I think more of you than I do of her. Stan: Well, you do, don’t you? Ollie: We won’t go into that! Stan: Y’know what the trouble is? Stan: You need a baby in your house. Ollie: What’s that got to do with it? Stan: Well, if you had a baby it would keep your wife’s mind occupied; you could go out nights with me and she’d think nothing of it. So what do we make of this on-screen relationship? They were inseparable buddies, of course – co-dependent allies and totally reliant on each other. Without Stan, Ollie would be nowhere and without Ollie where would Stan be? Lovers or brothers – as far as the laughter-making is concerned, it doesn’t matter. Everybody is in love with this adorable duo. In this affectionate tribute evening, Terry Sanderson will analyse just what was going on between the laughs. Were Stan and Ollie really frustrated lovers or was it just a fine bromance with no kisses – an innocent friendship that entranced the world? 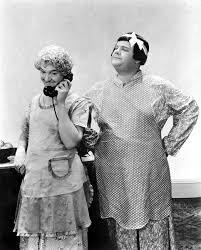 But the evening is mainly about laughter, and when it comes to Laurel and Hardy, nobody does it better. So come and split your sides in the company of two of the greatest clowns who ever lived. Summer Season 2016 ticketing applies.